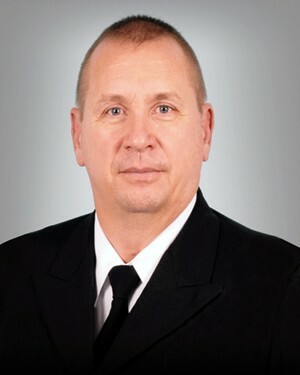 COL (Ret) Rick Bowyer serves as the Executive Vice President for Strategic Business Development for Crestwood Technology Group. He previously served as the Fires Division Chief in Army G-8, managing the Army’s Air and Missile Defense and Field Artillery portfolios. We are not ignoring you, Mr. Secretary! Mission-capable rates, unit deadline reports, service chief testimonies and Government Accountability Office reports all point to the same conclusion. Readiness degradation, material shortages and obsolescence challenges continue to confound the DoD. However, the demand for increased readiness is challenging for several reasons. First, increased operational tempo and training requirements have placed huge demands on fielded equipment. Second, the decrease in DoD’s Modernization and Research and Development accounts has necessitated the extended use of existing equipment. Vehicles, aircraft and equipment are now well beyond their projected life expectancy. The result is an unplanned demand for repair parts that in many cases have become hard to find or obsolete. To meet these new demand patterns, industry is introducing innovative engineering solutions aimed at accelerating the regeneration of parts. However, these solutions are often more costly in terms of time and money. “SD-22 – Diminishing Manufacturing Sources and Material Shortages: A Guidebook of Best Practices for Implementing a Robust DMSMS Management Program” supports this finding. Department of Commerce data indicate these types of innovative engineering solutions are up to 1,000 times more expensive than searching and finding the part first. Likewise, original equipment manufacturers offer very expensive engineering change proposals as the preferred solution. Many of these solutions are 10,000 times more expensive. Thus, procuring the right material at the right time in the correct quantities is essential to building long-term sustainability at a more affordable cost. That is the crux of the issue. DoD is in a reactive obsolescence frenzy. Many program offices lack the predictive analytics to make prudent lifetime or safety stock buys because they didn’t expect their systems to remain in service so long. The program offices that have the analytics just can’t seem to find the material. But what if there was an existing industry capability with a verifiable ability to locate, source, inspect and deliver material that is often impossible to find within the standard DoD supply chains? These components may include but are not limited to the following manufacturing/stock categories: obsolescence, end of life, and Diminishing Manufacturing Sources and Material Shortages. What if a capable industry partner didn’t ignore the problem and recognized the importance of finding material to improve readiness and could do so at a greater than 50 percent success rate? Readiness is not only critical for our Services but our Allies abroad as well. This industry partner would use proven sourcing techniques and capture lessons learned from previous successful efforts to improve the overall readiness for the Services. The result would improve cost and schedule concerns for Service programs. Additionally, a partner with obsolescence expertise would improve the short- and long-term sustainment and affordability of many legacy platforms. Finally, it’s safe to say the current reactive approach to increase readiness and material availability is ineffective. Just read the headlines. ECPs and additive manufacturing are expensive and time-consuming. But there is an alternative. For an immediate solution there are industry-capable partners that aren’t ignoring the problem and are actively seeking and finding material to assist our Warfighters with great success.